Ummm, yeah....this is photogenic right? A half eaten semi cab. It was just screaming at me to take it's picture. I had to oblige with at least one photo for you. 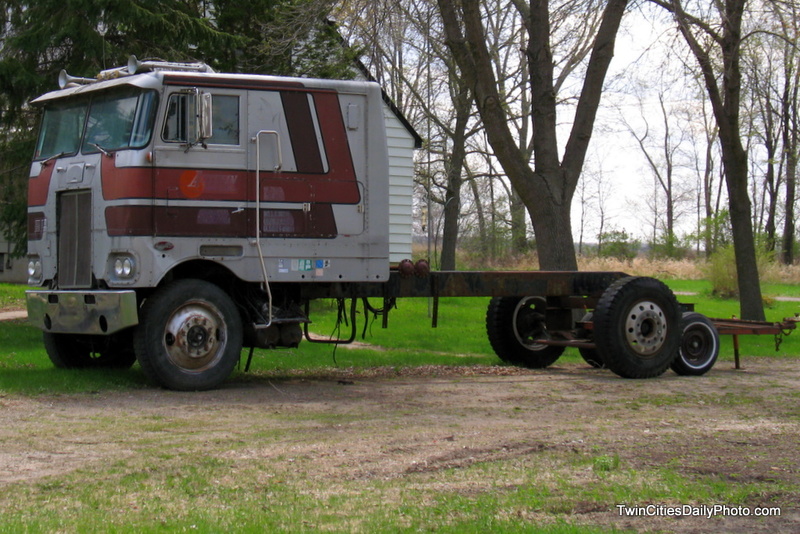 I found this creative semi cab on a very unbeaten path in Cottage Grove. The road was so untraveled, there was no tar, only gravel. Finding a gravel road in Cottage Grove is fairly tough these days.